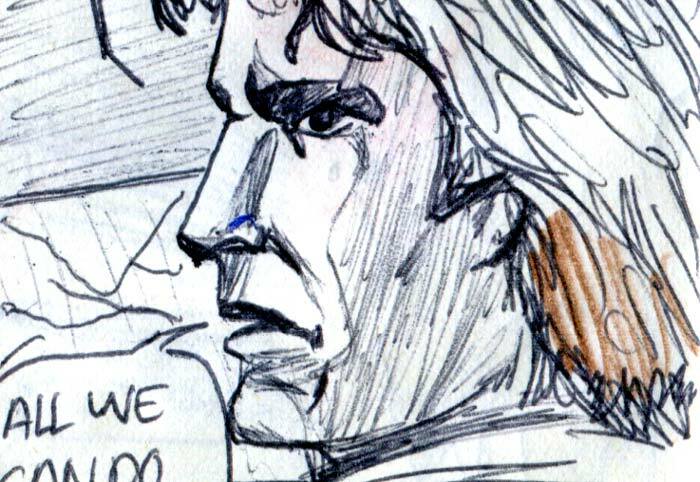 Above: Interesting little dash of blue biro on the nose there—but, euwww… what that hanging off his nose? I wonder why the Imperials are surface bombing the asteroid in an attempt to scare the Millennium Falcon out of hiding? Shouldn’t they just focus all of their destroyers’ guns on it and blast it to hell? 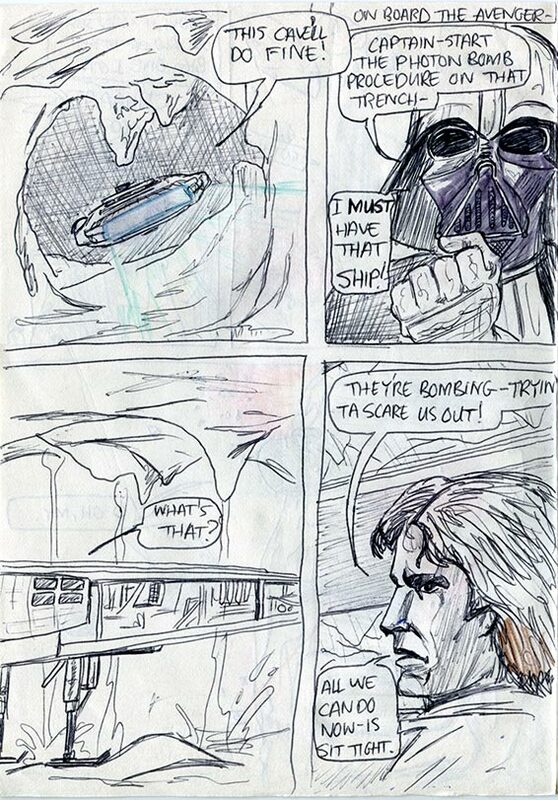 Or… does Vader really want to get his hands on the ship because Leia is on board? Or does he think Luke is on it? Or is all part of his plan to take Luke’s friends alive to use them to bait Luke? Sorry if this all seems a bit dim of me, but I hadn’t really thought about it before. I’m even surprised that Vader knows the name of Solo’s ship. Solo says, “All we can do now is sit tight.” He seems pretty confident that the Imperials will give up and just move on. I presume they don’t realise that Vader is after them. And it’s personal. And… what the hell is a “Photon Bomb?” Maybe I was getting it mixed up with Star Wars Proton Torpedoes—or maybe I just thought it sounded futuristic and spacey? Probably the latter. Above: Fancy spit-smudged special effects! Some of the artwork is quite nice here, like the Falcon flying through the ‘cave’ in panel 1 but especially, Han in side-profile in panel 4. Jeez, talk about yet another half-hearted attempt at colouring. 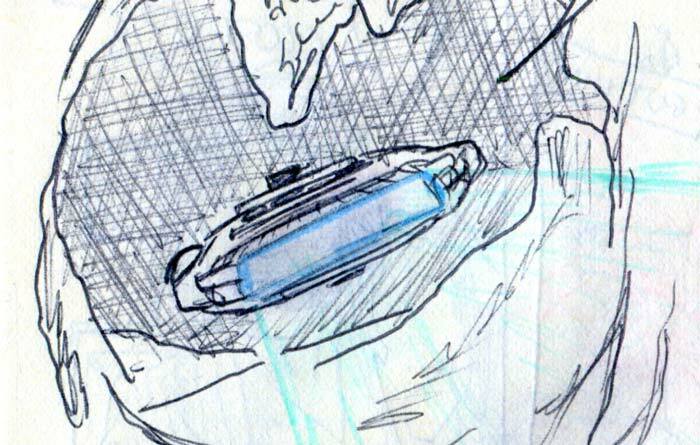 I did blue around the Falcon’s afterburners with some ‘Spit-smudged-marker-FX’—couldn’t resist that. But After starting a bit of brown on Han’s hair, I must have felt that I could’t be arsed! Maybe I was just more eager to get started on the next page?